Folkstar's "Into the Trees" Official Music Video! It’s Here! It’s Here! It’s Here! Our funniest video ever, complete with a dance routine! We morph into forest creatures!! Smile, laugh, and enjoy a seriously fun song! “Into the Trees” by Folkstar from their third album Treelines and Skylines! “Into the Trees” was filmed in the ancient sequoia forests of Sequoia and Kings Canyon National Parks located in the southern Sierra mountains. 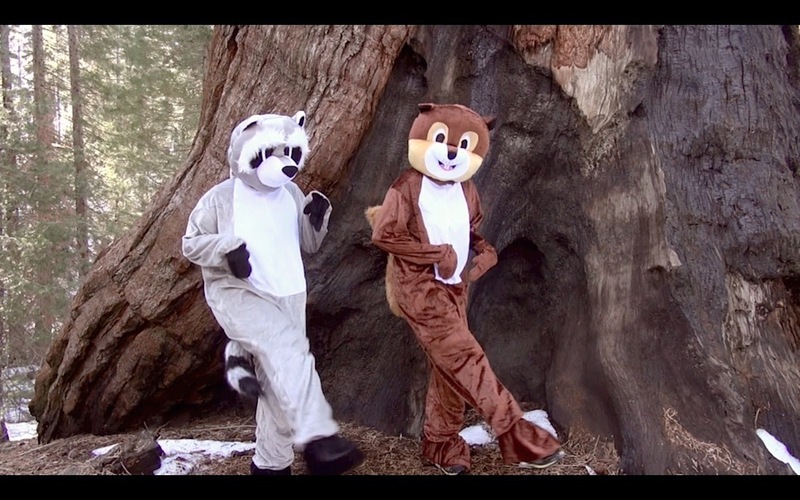 The video depicts the whimsical activities of their alter ego animals (Sue as Squirrel and Kim as Raccoon) as they prance around in their natural habitat. ← New Music Video Coming Soon! !